Pig fur is coarse looking and relatively straight. It is often black but can be a range of brown, grey, tan and white colours. In this example, the pelt appeared mainly black but was mottled on closer inspection. The longer black hairs at top right were along the animal's backbone. 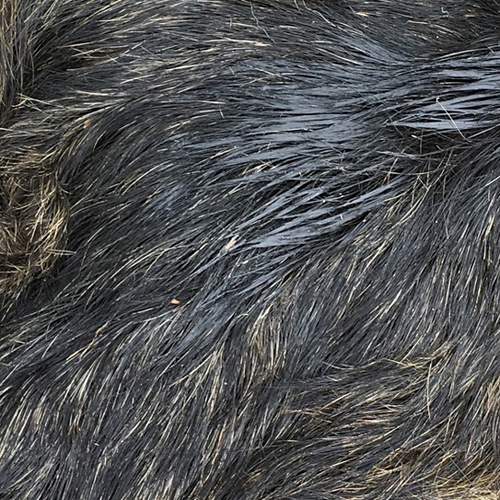 This image was cropped from a photo of a wild board pelt observed near Christchurch, NZ.